Fifteen uncontaminated topsoils (ranges of pH: 3.7 - 7.5 and of organic carbon (OC): 0.4 - 23%), with total zinc concentrations ranging from 7 to 191 mg Zn/kg DM, were collected from 9 European countries. In addition, contaminated soils were sampled in three transects towards galvanized transmission towers (pylons), where the soil total zinc concentrations gradually increased in the transects from background values to elevated zinc levels near the pylon: 83 - 2100 mg Zn/kg DM, 160 - 2500 mg Zn/kg DM and 76 - 3700 mg Zn/kg DM, respectively. In all the transects, there was a small variation in pH (4.8 - 5.2; 5.2 - 6.7; and 5.7 -6.1), while the level of OC showed a tendency to increase with the zinc concentrations, i.e. higher values near the pylons (5.6 - 12.6%; 6.6 - 11.3%; and 3.5 - 7.7%, respectively). NOEC values obtained for the 15 spiked soils in the 6 different toxicity tests showed considerable variation. When the NOECs are expressed as "added Zn" in mg Zn/kg DM and as mg Zn/ml soil solution (added + background), the ranges over the 15 soils were as shown in Table 7.8. Table 7.8. Ranges of "No Observed Effect Concentrations" (NOECs) for Zn in 15 spiked soils. Data obtained from 6 different soil toxicity tests. After Smolders, 2003. The ranges in NOEC (added) values were generally larger among soils (for each test, see above) than among tests (for each soil, the range usually being about 10-fold or less), which confirms that soil properties play a major role for the toxicity of zinc. The variability in threshold values expressed as total Zn in the soil is explained by the variation in CEC and pH (in the tests with invertebrates and plant) or by the zinc background values in soils (microbial processes). In fact, it has been previously demonstrated that background zinc concentrations in soil clearly affect the zinc sensitivity of soil microbial processes (McLaughlin and Smolders, 2001). The authors suggested that soil microorganisms may acclimate to indigenous concentration of zinc in soil porewater and that this acclimation affects the subsequent response to zinc added as a pollutant. Based on the relationships observed between toxicity and the various soil parameters, it would be possible to normalise the toxicity data for every set of soil characteristics, and thereby derive "soil sensitivity factors" that would explain differences in toxicity (after spiking) due to soil type (Smolders, 2003). From the three transects of field-contaminated soils, soil samples were taken at the furthest distance from the pylon and were spiked with zinc chloride to a range of total zinc concentrations similar to those in the transect. The field transect soils, contaminated with zinc over time by slow corrosion of the galvanized pylons, showed no clear evidence of zinc toxicity in any of the three microbial assays and in the plant growth assay, with one exception (plant test in one transect). In contrast, spiking these soils always yielded significant dose-response curves and total zinc EC50 values were on average 2.1-fold (in some case, 7.7-fold) lower than the largest total zinc in the transect. Thus, zinc toxicity was consistently lower in the field contaminated soils than in the corresponding spiked soils (Smolders et al., 2003). 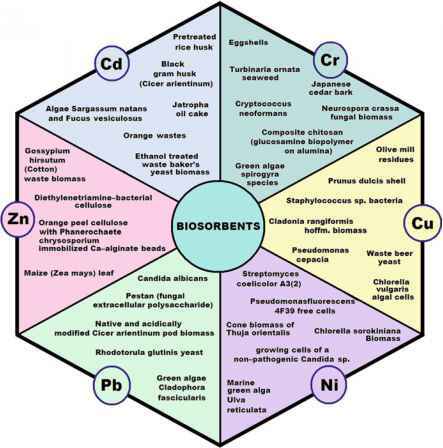 An increasing use of various modelling approches to predicting the bioavailability of zinc (and copper) in soils can be noticed recently. For example, partitioning models as well as competitive adsorption models have been found to be quite promising tools to sort out those soil factors that are relevant for determining the behaviour and, ultimately, the bioavailability of trace metals in the soil ecosystem (Impellitteri et al., 2003).